14k gold custom made pendant necklace consisting of round shape, natural diamond, weighing 0.76 carats, having a I color and SI1 clarity, according to GIA grading scale. The center stone measuring 5.76mm x 5.85mm x 3.64mm and carries a GIA grading report, No. : 12866583. Inclusion Description: The grade making inclusions are: a non surface reaching feather located in the crown outside the table, and a very small transparent crystal located inside the table at girdle depth. WE DO NOT HAVE A HARD COPY OF THE GIA REPORT. 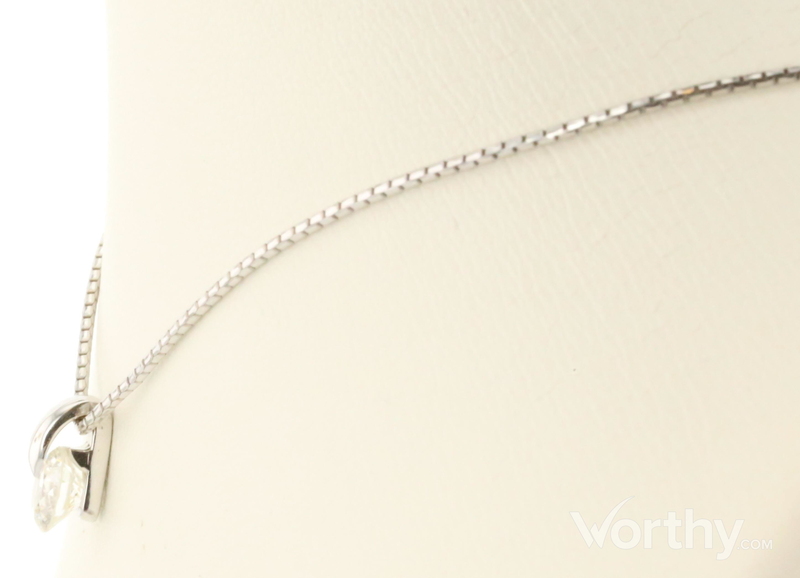 Diamond is tension mounted into the setting and does not have a drill hole to secure it to the mounting. Pendant is in a fixed position on the chain. Chain length is 18".